It is my prayer that incorporating the ten simple strategies explained in my book will enable you to reach heights you can only imagine. 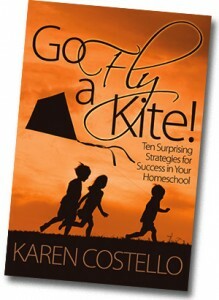 These ten chapters will challenge you to venture into the not-so-scary unknown and will propel you forward into God’s great plan—letting you SOAR LIKE A KITE! Purchase your own copy by clicking on the PayPal “Buy Now” button at right!